Since launching its first transparency report in 2012, it has been Twitter’s aim to ensure users from around the globe can access this information in a clear and straightforward way. The hacking of Sony Pictures’ computer files, apparently in revenge for a movie about a zany plot to assassinate North Korean leader Kim Jong-un, marks a new chapter in the saga of cybersecurity, cybercrime, and cyberwarfare. Yes, North Korea won yesterday. Threatening 9/11-like violence, the DPRK scared Sony and America’s four largest theater chains into pulling the plug on the release of The Interview. And, just like that, Americans lost their right to watch their own propaganda films — even dumb funny ones — in their own theaters. But, don’t despair, we can still watch propaganda films from North Korea on YouTube — like the vintage animation for children above. After Twitter, Facebook, Google and YouTube chronicled the year gone by in videos, it’s now Wikipedia’s turn. The crowdsourced online encyclopedia takes you through major events from 2014, from the FIFA World Cup to the Indian general elections, and the Ice Bucket Challenge to Ebola in West Africa in under three minutes. Facebook has quietly removed Microsoft-owned Bing as its primary search engine, according to a new report. 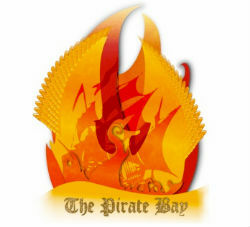 For more than a decade The Pirate Bay’s been the bastion of uncensored information. Until the raid on some of its critical infrastructure last week, the site never had more than three days of downtime. Cyberculture agenda: “Algorithmic cruelty”…”Web Encryption Gets Stronger in 2014…. Cyberculture agenda: “World Leaders on Periscope… Google explains how it fought webspam in 2015….